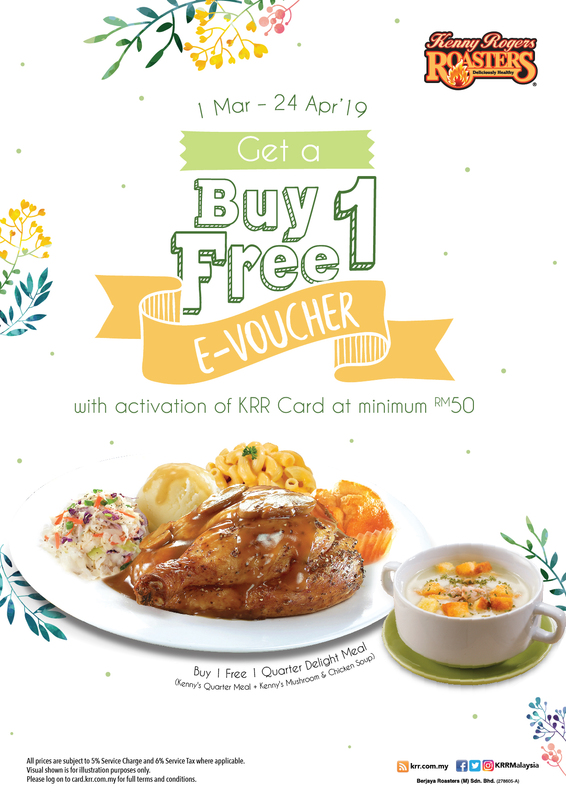 Get Buy 1 Free 1 Quarter Delight Meal when your activate your KRR Card at minimum RM50. 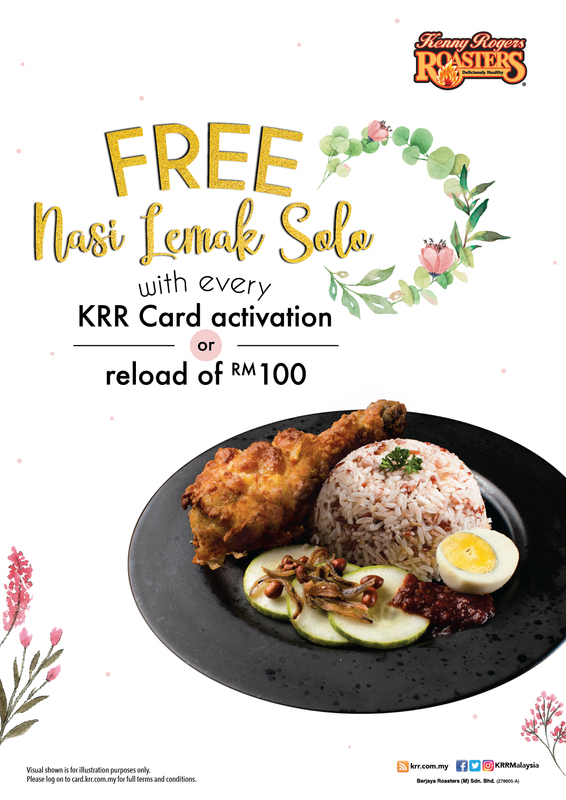 FREE Nasi Lemak Solo with every activation or reload of RM100 into your KRR Card. 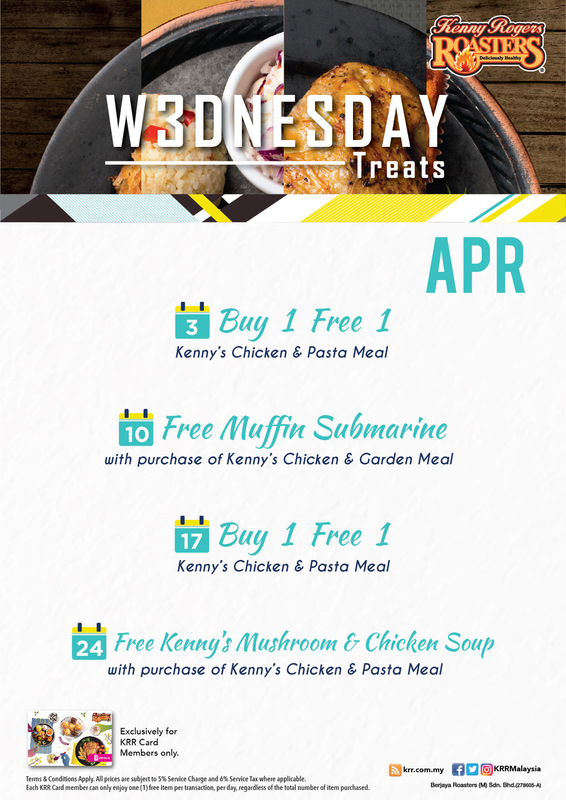 Mark your calendar for KRR Card Wednesday Treats for April 2019. Not yet a member? 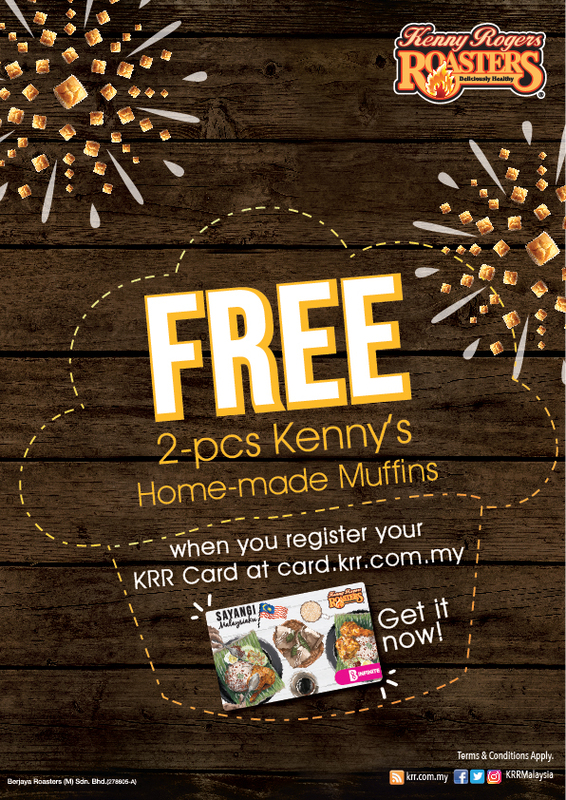 Visit our restaurants & sign up one today! For Q&A, kindly refer to our Facebook Page. 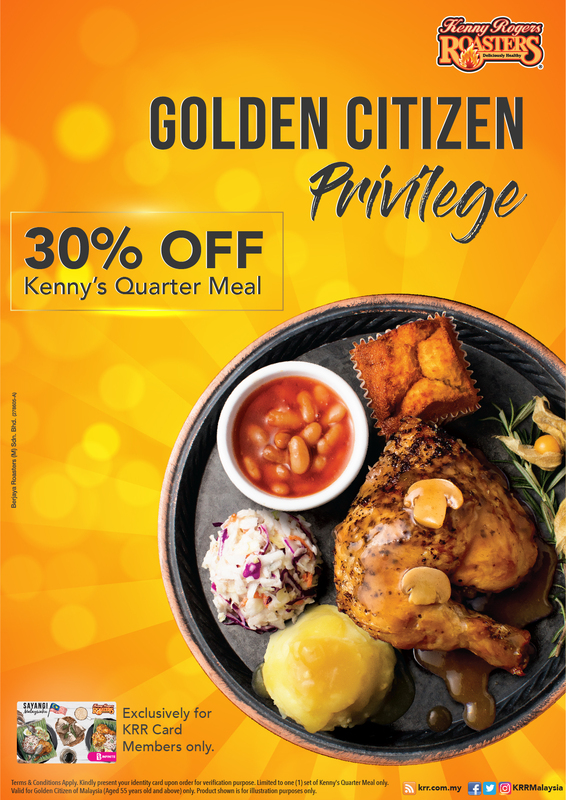 Flash your identity card and enjoy 30% off Kenny’s Quarter Meal every day!